In the 2017-18 school year, 31 states reported teacher shortages in the areas of bilingual, dual language immersion or English as a Second Language education. These shortages are nothing new as a majority of states struggle to find teachers who have the requisite pedagogical knowledge and skills to support the country’s growing English learner (EL) student population. A handful of states and school districts are attempting to address these shortages by creating new pathways into the teaching profession for a more diverse pool of candidates. For example, Pennsylvania’s plan under the Every Student Succeeds Act (ESSA) includes a proposal to use Title II, Part A funds to develop partnerships between school districts and institutes of higher education focused on developing pathways into teaching for current paraprofessionals. In two new reports published today, I profile the promising efforts of district-university partnerships in Washington and Oregon to build a bilingual teacher pipeline. The first report, Building a Bilingual Teacher Pipeline: Bilingual Teacher Fellows at Highline Public Schools, details the Woodring Highline Future Bilingual Teacher Fellow Program, a partnership between Highline Public Schools and Western Washington University’s Woodring College of Education. The program is designed to prepare a cohort of 16 bilingual paraprofessionals to earn their teaching certification. These teacher fellows spend two years working as paraprofessionals under the guidance of a mentor teacher while simultaneously completing their WWU coursework. The partnership was created to help the district meet its ambitious goal of having every student graduate bilingual and biliterate by 2026. With a population of nearly 20,000 students across the areas of Burien, Des Moines, Sea Tac and Seattle, a quarter of whom are ELs, achieving this goal means substantial expansion to their dual language immersion and world language programs and access to a stable and well-prepared pool of bilingual educators. Luckily, Washington state made the development of alternative pathways for teacher preparation a strong focus of their strategy to alleviate the current teacher shortage. In 2015, the Washington State Professional Educator Standards Board (PESB) ran a competitive grant program to support the development of alternative route teacher preparation programs through school district/university partnerships. Highline and Woodring were awarded a grant and collaborated on the development of the program, using state funding for scholarships that cover nearly the full cost of candidate training and to financially support staff at the district and university. Together, the school district and university have built a program that provides the mentoring, academic and financial support, and opportunities to learn on the job that are essential to ensuring that the bilingual fellows have the resources necessary to be successful upon completion of the program. The district partnered with Portland State University to develop an alternative route program that provides 28 dual language teacher fellows with the opportunity to earn a master’s in either elementary (with an ESL/bilingual endorsement) or secondary education (with a world language endorsement) while simultaneously working as classroom teachers, full-time substitutes or paraprofessionals. PPS has put a variety of support services in place to help break down barriers for the dual language teacher fellows (nine of whom are former paraprofessionals in the district). For example, PPS’s program coordinator provides assistance with the entire application process to both the district and Portland State and ongoing guidance to fellows once they are in the program. The district also pays the upfront costs of exams, application fees, and transcript translation for those educated outside of the U.S. And PSU worked with the district to modify their program’s course sequences to ensure that they were maximally relevant to the fellows’ work as classroom teachers. However, the district is not able to provide tuition assistance and so fellows are responsible for covering the majority of those costs (which is around $24,000 across the two years of the program). Both of these programs are focused on recruiting bilingual paraprofessionals, school based staff, and community members to become classroom teachers. 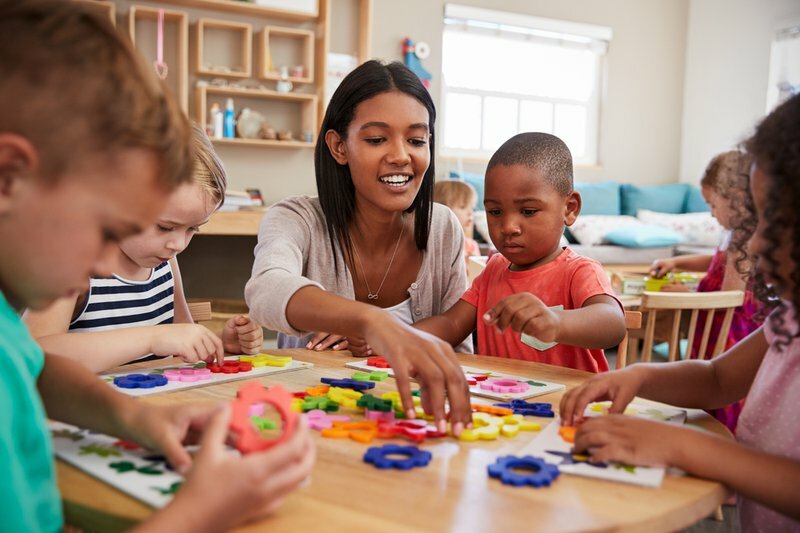 These non-traditional teacher candidates often face multiple academic, linguistic, and financial barriers to entering the teacher profession and require targeted supports and services. Highline and WWU provide all fellows with financial scholarships, multiple forms of mentorship, and the opportunity to take all of their courses locally (Highline became an accredited WWU program site). Similarly, PPS’ program coordinator is seen as a “barrier buster” and charged with ensuring that all fellows have access to necessary resources and information to navigate the program. The university and school district have distinct responsibilities in the implementation of these programs and these roles need to be determined up front to avoid miscommunication and a misalignment in expectations between partners. Teacher preparation programs are often not designed with non-traditional students in mind. Faculty members at both Portland State University and Western Washington University had to be extremely proactive about providing accommodations and flexibility to program candidates. This included providing extensions to the application timeline and giving candidates a chance to audit courses until they met all of the admission requirements (e.g. passing the necessary entrance exams). Existing policies on alternative routes for teacher preparation can be leveraged to support the development of Grow Your Own programs geared towards developing local teacher candidates to work in local schools. In Washington, the PESB is driving the growth of alternate pathways through current state law and funding sources. In Oregon, these pathways are facilitated through the state’s restricted teacher license which allows the fellows to work as classroom teachers while enrolled in a teacher preparation program. PPS has partnered with Education Northwest to build their own capacity to use data and research to build and refine systems. Specifically, they will be collecting and tracking program data to determine whether the program is an effective strategy for recruiting, hiring and retaining bilingual teachers. Highline also engaged in conversations with principals and mentor teachers to learn about their experience with the program and identify areas for improvement. Moreover, Washington recently updated the rules governing alternative route programs to mandate biannual reporting of program outcomes including hiring and retention of program completers.